Freeframe is an open standard for real-time video effects plugins which works on all major operating systems and includes software development kits for several programming languages and development environments. 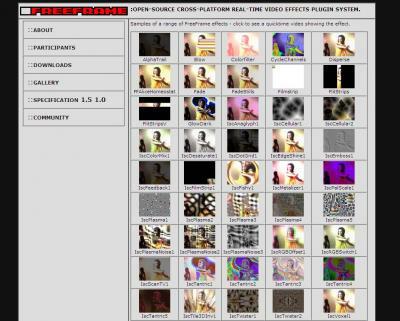 Conceived and founded by Brightonart in 2002 Freeframe brought together the leading developers in the fledgling VJ (Video Jockey) software scene to agree on a common interface for video effect plugins. The first host interfaces were written in C and Delphi by Brightonart developers. 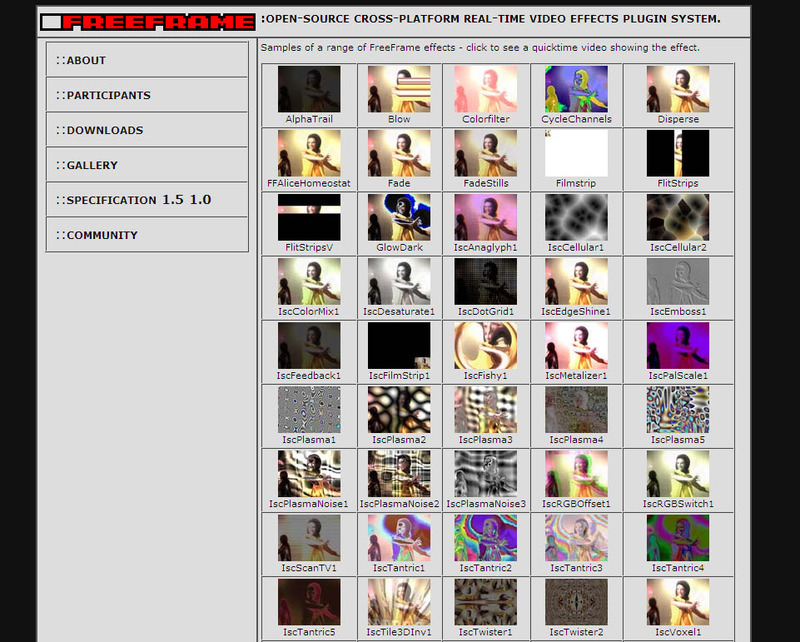 As live video performance and VJing has matured as an artform the number of VJ software titles has exploded and all the major versions include Freeframe support. Recent developments in Freeframe include Open GL support in Freeframe GL and 64-bit OS support. Find out more about Freeframe at http://freeframe.org.